Bizet started many theatrical projects during the 1860s, most of which he abandoned. Neither of the two operas that reached the stage - 'The Pearl Fishers' and 'La jolie fille de Perth' – were immediately successful. 'The Pearl Fishers' later won more popularity for its beautiful duet. 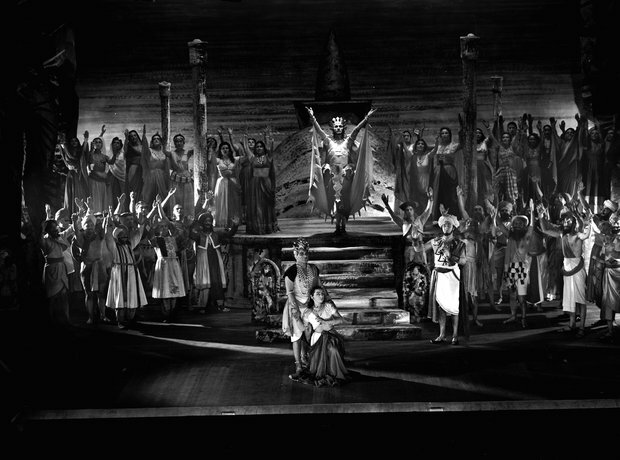 Pictured is a 1954 production of 'The Pearl Fishers' at Sadler's Wells, London.